A&P Falmouth has experienced one of its busiest autumn seasons on record, thanks to a flurry of ferry and commercial projects. 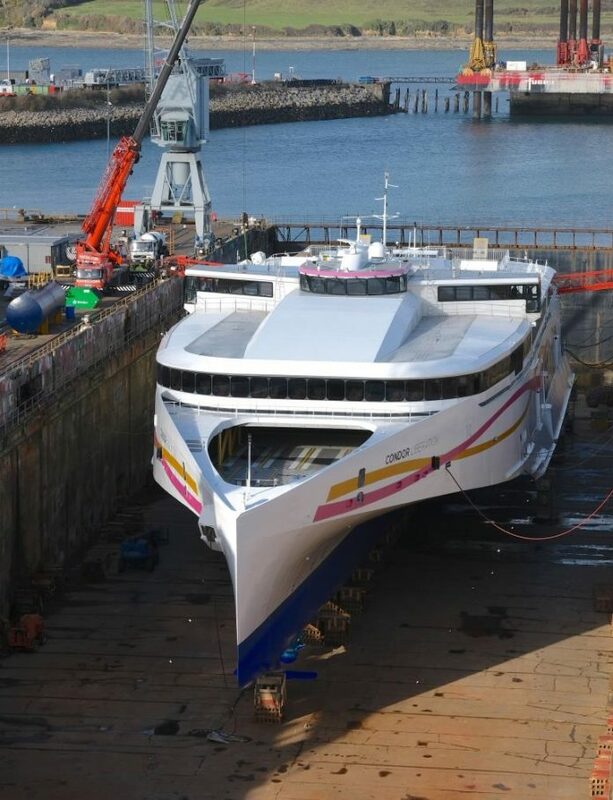 Ferry operators Condor Ferries, Red Funnel, Torpoint, Sandbanks Ferry, and Wightlink have all called on A&P Falmouth for annual repairs and maintenance. In recent weeks, Condor Liberation, Plym II, Bramblebush Bay and Red Funnel’s Red Falcon have all been in A&P’s dry dock in Falmouth. A number of other vessels, including Condor Rapide, Red Osprey, Red Eagle, Wightlink’s St Faith and St Clare and Wight & Wight Sun’s Victoria will drydock between December and March, when the traditional ferry season comes to a close. In addition, Norwegian roll-on/roll-off shipping line United European Car Carriers has appointed A&P Falmouth to provide a major refit, including tail shaft, rudder, steering vein and gear box overhauls, for its vessel Autosun. The Falmouth team has also commenced a six to eight-week life extension project for Aggregate Industries’ hopper dredger Karissa. Commercial director, Ian Douglas, said: “Falmouth has been especially busy over the last few months and the dry dock has been in continual use since June.